Get ready for any last minute plans with this shirt dress. 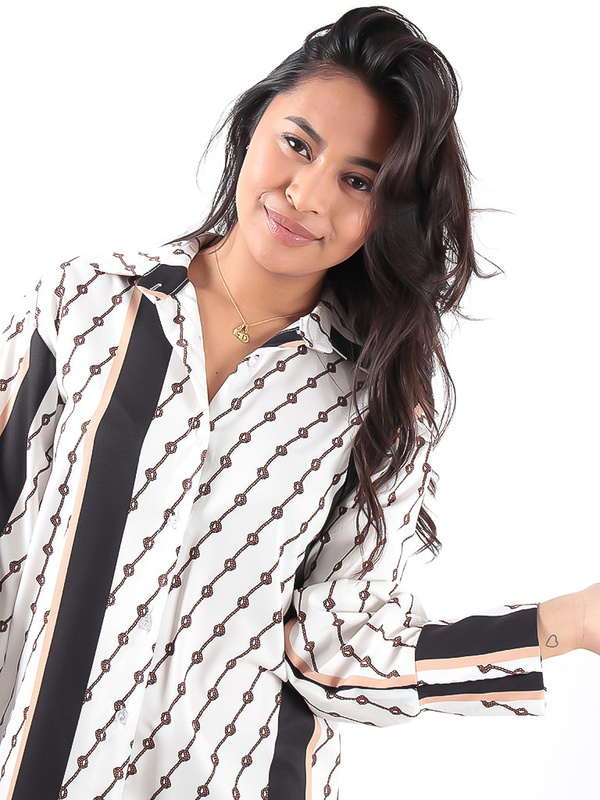 Featuring a beige rope print material with a button up front and a dropped hem. Team this with strappy heels and a mini bag to complete the look. 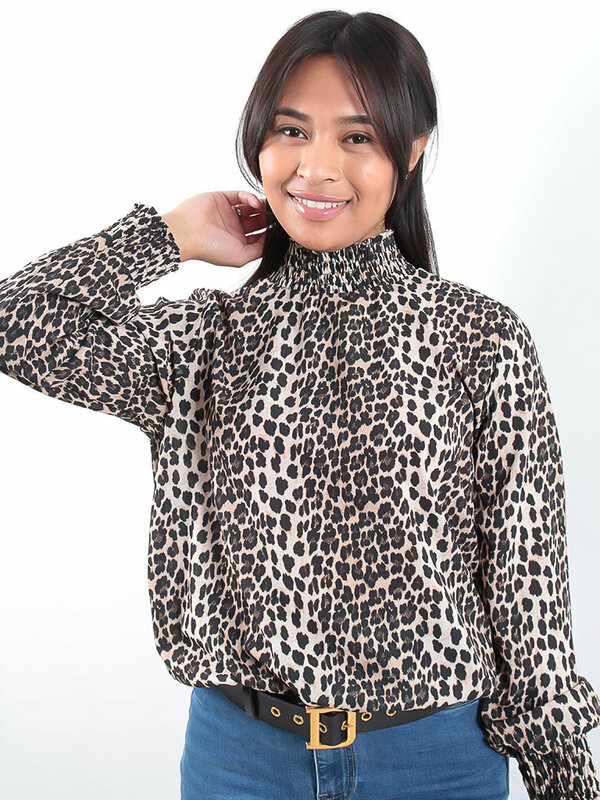 This blouse is perfect for giving any outfit a feminine edge. 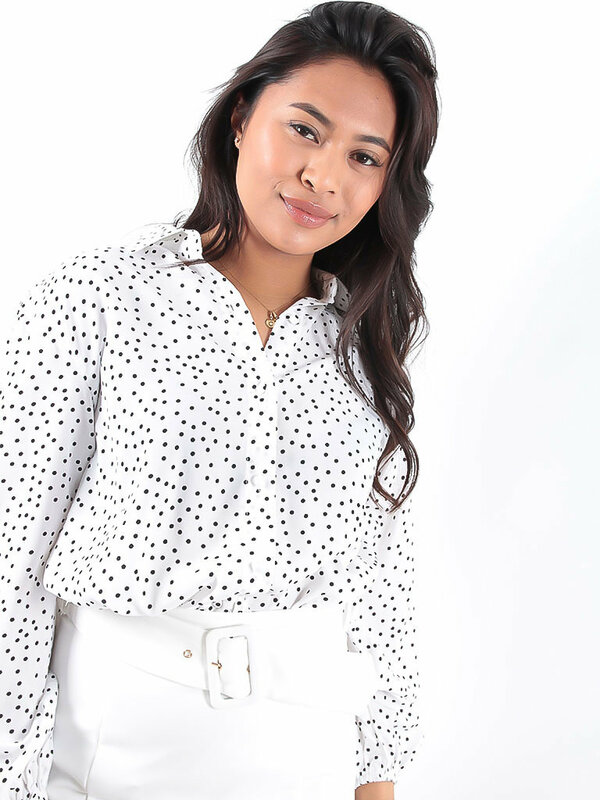 Featuring a white polka dot print chiffon fabric and tie waist detail, team it with some denim jeans and ankle boots for a look that can take you from day-to-drinks. We are loving this knit dress in an ultimate summer loving look. Featuring a beige knit material with a gold button detail and a relaxed fit. Style this dress with slip on sandals and a rotan bag to complete the look. Get that killer casual style nailed with this totally cute printed top. 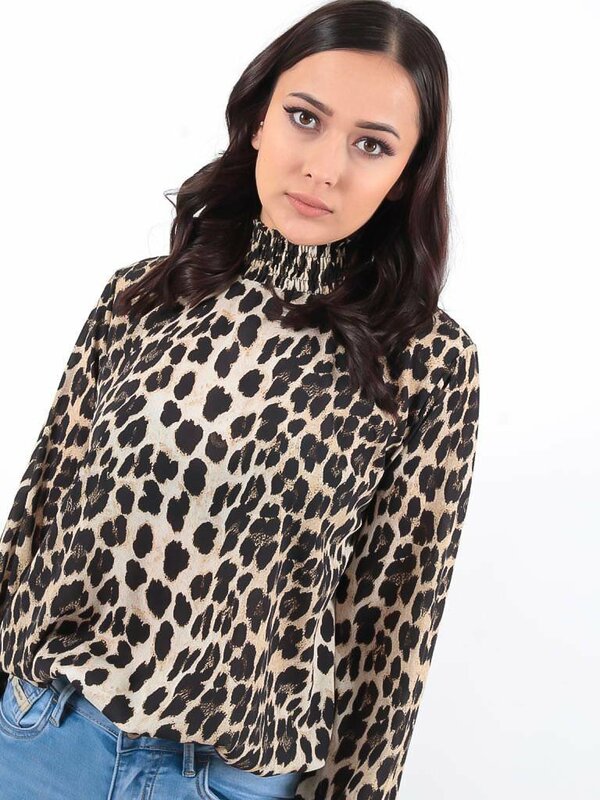 Featuring a mesh fabric, long sleeves and a brown leopard print, we love this styled with black jeans and biker boots for a rock chic look! Deze blouse staat bovenaan onze new season hit list! Deze heeft een licht blauwe materiaal, meet een gestreepte design en een strik detail, draag met high waisted jeans en gouden accessoires voor een luxe look! We are loving deze totally gorgeous blad print blouse in een heerlijke rode kleur! Draag met de matchende rok en gouden accessoires voor de perfecte date night look. 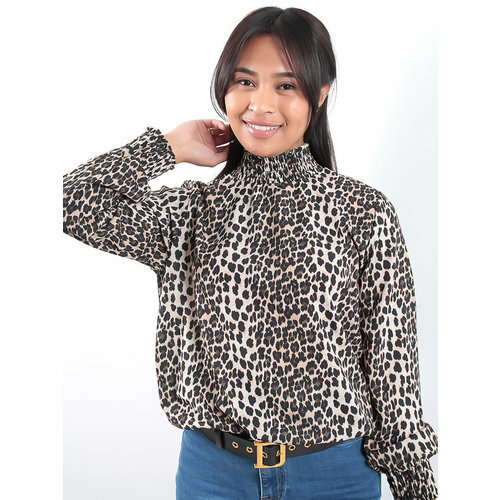 Add prints to your wardrobe with this top. 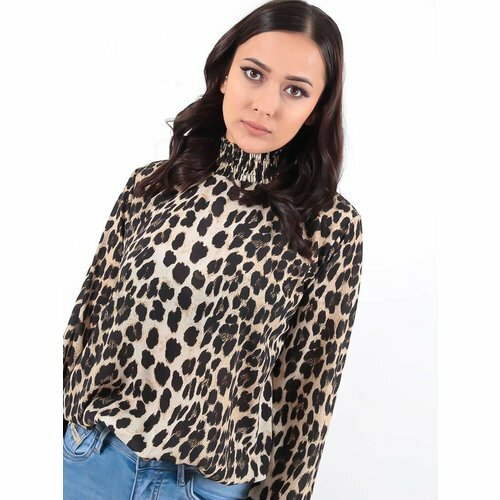 Featuring a beige leopard print fabric with a high neck design, style with some black trousers and heels for a look that we are loving this season!